There are two ways to add members to your networks. Method 1: Add members to the default network (called “default”) as shown below. 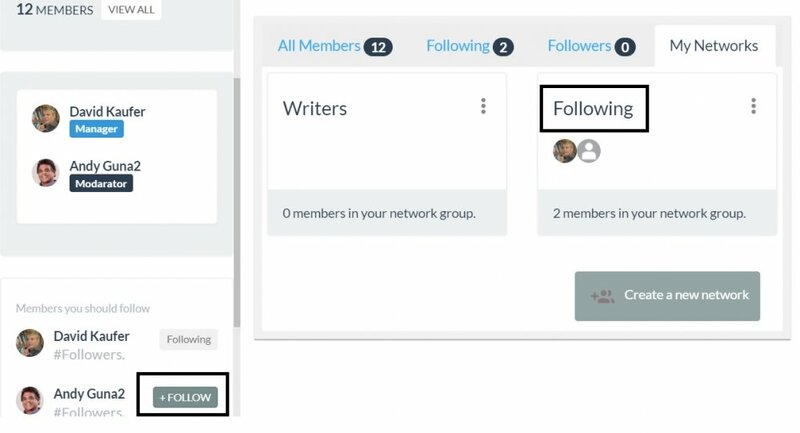 Simply click on the follow button and members are added to a “default” network. You can consider members of the default network to be users you want to follow (in general) but do not want to categorize. Method 2: Click on “view all” members, and then chose the members you want to add/remove from a network as shown below. To remove members from the network, follow the same method.